Wow. this one is hard. What should I do??? I'm sure there are tons of books with weird covers. To be honest, most of my books are old books with solid hardcovers. Let's go with A Series of Unfortunate Events. And I'm sure there are others! The first thing that comes to my mind is Stevenson's book Kidnapped and it's sequel Catriona. It took me forever to find Catriona! It's not a very well known book but it's so good! Oh, but I also love Dicken's books Hard Times and A Tale of Two Cities. 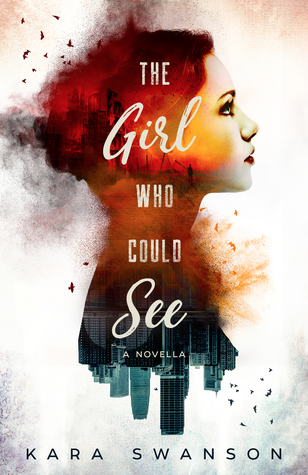 But of course, there's Kara's book The Girl Who Could See which I absolutely love. Hmm... sadly a lot of books. Both good and bad. Let's do a good experience, though. I don't usually like horse books. A friend gave me this book, so I decided to read it. And I loved it. And I'm so upset because I can't remember the title or author... and I don't really feel like digging through my 20+ boxes of books to find it. Karen Hesse's books... the one's I read... are all unique. Specifically Out of the Dust and Music of the Dolphins. To this day I don't know if I love her books are if they were disturbing and messed up my mind. Either way, everything about them was super... different. Oh, this one has me thinking too hard. You see, I love books best when the characters are real. So I can think of so many. Stephanie Morrill's Ellie Sweet books. And I think it's waaayyy past sweater season. But I had to do that tag (sweaters are kinda seasonal all year around in Montana, to be honest). Also, I won a short story contest! My Cleaning Girl is a really special story for so many reasons. I hope you all enjoy it! 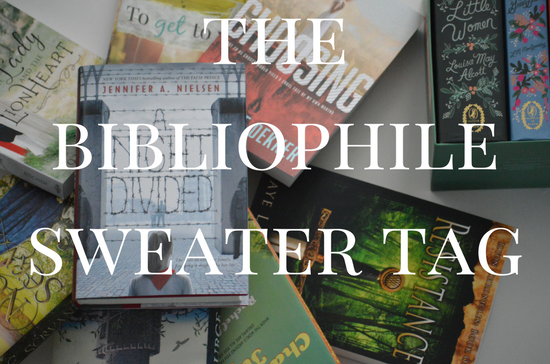 Sweaters and books, two of my favorite things! 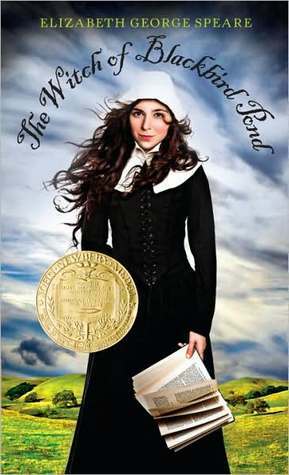 Funny story, I was actually looking for my copy of The Witch of Blackbird Pond the other day. Couldn't find it, sadly...but I remembered I loved it and felt like flipping through it again. Ok... wow. It's been so long since I read it I can't hardly remember... a girl goes to stay with people. I feel like there is wind in the title? But don't quote me on that. She's very bitter about something? I think she's somewhere between 15-17. Someone dies in the book.. I can't remember if it was a friend she makes or the horse. Wow... I have a horrid memory. I REMEMBER loving the book. It felt so real and not very "horse obsessed". The girl was a bit of a brat and a wimp at the beginning. But she'd also gone through hard stuff and by the end of the book she was changed ;D But the change was so subtle, and well done. 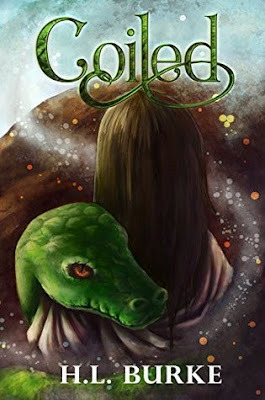 Just the cover of Coiled makes me want to read it! And yes! I've only read the first Ellie Sweet, but the characters are FANTASTIC. Also, I read your short story! That was really good! So well-written and heartfelt! Leviathan: Book Release and Author Interview!